Keith Stewart, M.B., Ch.B., recently appointed the Carlson and Nelson Endowed Director of the Center for Individualized Medicine, highlighted the latest discoveries in genomic research and illustrated them with patient stories to demonstrate the power of genomic medicine to supporters of Mayo Clinic’s fundraising campaign, “You Are . . . The Campaign for Mayo Clinic.” Then he presented where genomic research at Mayo Clinic is headed in the future. 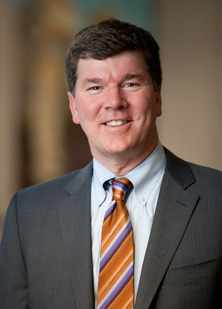 Dr. Stewart is also the Vasek and Anna Maria Polak Professor of Cancer Research. The Center for Individualized Medicine was started years ago, but was recognized as a transformative center in 2012. Our mission is to integrate the latest in genomic science into modern medical practice. 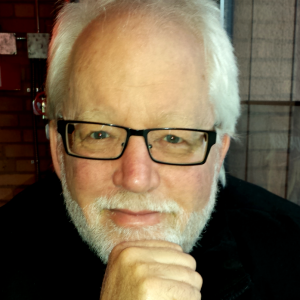 It’s exciting to be part of this — what I consider to be a revolution in medical practice. Genomics is reaching an inflection point. Our understanding of it is increasing exponentially. It seems inevitable that 20 years from now every one of us will have our genome sequenced routinely. It's cheap; it doesn't change in the hundred years you’re alive. It informs you, your family and your offspring. It seems to be illogical that we wouldn't do that as a society going forward. And the cost of sequencing a genome has plummeted. As it has plummeted, the number of humans who have had their genome sequenced has exploded with a million human genomes estimated to have been sequenced today. And this has not escaped the attention of our politicians. In the State of the Union address this year, President Barack Obama announced a plan to sequence the genomes of over 1 million American citizens and to follow their health long term — The Precision Medicine Initiative. One of the challenges of the center is to bridge the gap between that inevitable future and today with knowledge. Former director Dr. Gianrico Farrugia and his colleagues have built an extraordinary infrastructure to enable Mayo Clinic to be a leader in this field. 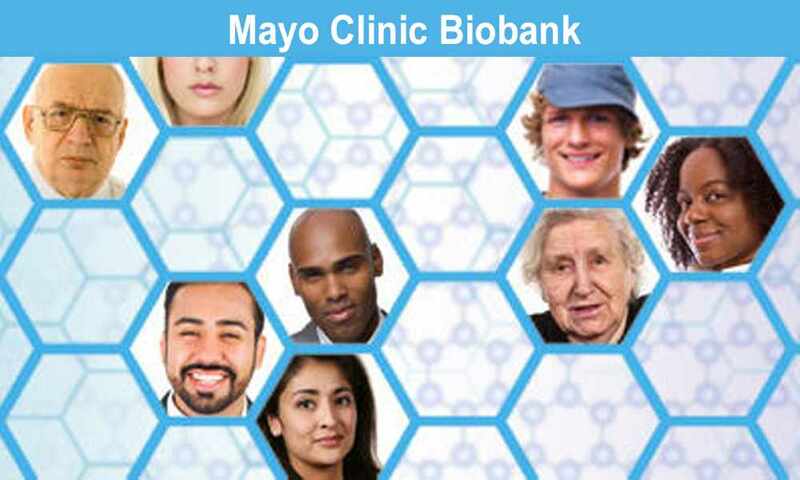 We have the Mayo Clinic Biobank, a biorepository of 50,000 Mayo Clinic primary care patients who have consented to give us blood to be used for our future research. But that takes up only a tiny portion of this massive warehouse that we've assembled. We have also built a medical genome facility which allows us to sequence the genome in the types of volumes that our researchers require. We've built information technology that allows us to get the computer support we need for high through-put sequencing and supercomputing to analyze the three billion letters in the genome code, and we hired bioinformaticians who actually analyze the genome. We recognize that we're going to uncover all kinds of biomedical ethical issues, so we built a team in biomedical ethics to help us with that. And then we realized our physicians, our patients and our staff needed education in this area, and we hired people who were interested in providing that education. The clinical services are the heart of individualized medicine program. How do we deliver genomic services to our patients and educate our physicians on their uses? Finally, healthy genomes. What can we learn about healthy, well people and what can we predict about their future by sequencing their genomes? To date, our services with cancer patients have proven to be relatively effective. For example, our experience with end-stage cancer patients suggests that about one half of those patients have information in their genome—gleaned by sequencing it—that can be acted upon. A 50-year-old man was examined by my colleague in Arizona, Dr. Mitesh Borad, just a couple of months ago. The patient’s abdomen was swollen through massive enlargement of his liver. The liver was full of tumors, a biliary cancer, and he was spending most of his day in bed or in a chair. Dr. Borad arranged for his genome to be sequenced, which uncovered a genetic mutation that had not really been reported before in this cancer. He prescribed the patient drugs that were usually used for breast cancer because the genetic information directed him into that field. Two months later, the patient is riding his bike, his abdomen and liver have returned almost to normal and he's continuing on active therapy. One of the physicians in our program recently told us about a 50-year-old woman who came to see him. He asked to have her drug-gene sequence determined because her antidepressants weren't working and she couldn't sleep at night. Testing revealed that she had a gene that results in hyper metabolizing the drug, so the dosage she was given was completely ineffective and a change of drug class was completely appropriate. This area, we call pharmacogenomics. This year we've launched our healthy genome program to help people understand what we can tell them about their health based on their genomic sequence today. It’s important to remember that genomic sequencing is not just about a patient’s health or diseases today. The genome won't change. But our understanding of it will. People who have had their genome sequenced can be helped increasingly over time as our understanding grows, and will also inform their family to a great degree. And we're not done. We're turning our attention more and more to the practice. We want to expand our ability to conduct cancer genome sequencing and diagnostic odyssey work-ups, and to do so through equitable access. It cost money to do this; it's not always covered by insurance. We want to establish a way that we can provide this, even to families who don't have the resources to pay for it themselves. And then we plan to ask our colleagues in the Center for the Science of Health Care Delivery to tell us if this impacts patient care. Does it reduce drug side effects? Reduce costs? And does help match the right person and the right drug? And finally, we hope to participate in the national precision medicine program, President Obama’s initiative to sequence the genomes of 1 million healthy individuals. These are just a few examples of what we have planned and in the works. I have a family member that has just been diagnosed with stage 4 lung cancer, would he qualify for this study? Also he is a twin. You should contact the Center for Individualized Medicine with your inquiry about a family member-a twin-with stage 4 lung cancer. Phone: 855-678-0741 (toll free) or 507-266-2633 8 a.m. to 5 p.m., Central time, Monday through Friday. Our 15 year old son was diagnosed in January with a very rare kidney cancer called Renal Medullary Carcinoma. He is in stage 4 and is currently undergoing treatment. There are currently no cures for this disease. What benefits would be found if he were to be considered for this type of clinical trial? You should contact the Center for Individualized Medicine for a consultation about your son. I will talk this over with my Uncle and hopefully he will look forward to contacting whoever we need to asap. Thanks for the response.